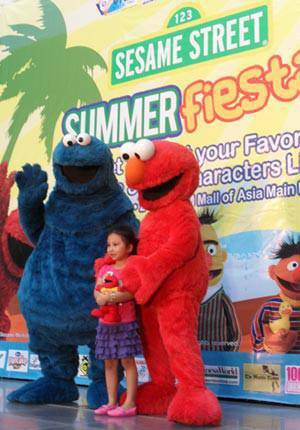 Sesame Street celebrated summer the “Fiesta” way as they brought smiles to children and parents alike with the Sesame Street Summer Fiesta Meet and Greet at SM Mall of Asia. 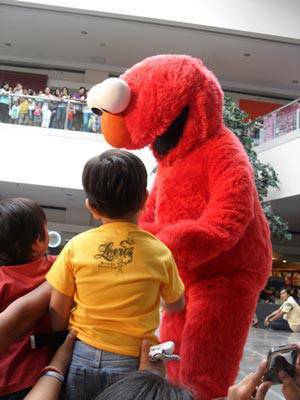 Fans of Elmo, Cookie Monster, Ernie and Bert flocked to the Main Mall Atrium to experience “Summer Fiesta” with fun-filled activities, exciting games and cool prizes. 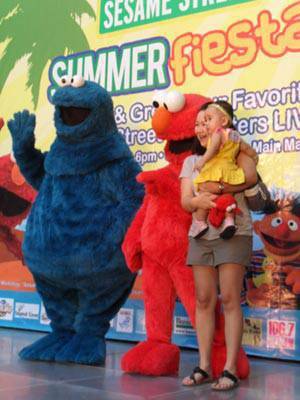 Want to share to your child the Sesame Street learning experience at the comfort of your very own home? All your favorite Sesame Street videos are now available on DVD and VCD at leading video stores and record bars nationwide.